PERMATA program is a national program of the Ministry of Research, Technology and Higher Education of the Republic of Indonesia which aims to improve the insight of nationality, integrity, solidarity, intimate between students, and provide opportunities for students to feel and take advantage of educational facilities and academic atmosphere in other PT. In line with the end of this odd semester lecture process, on Thursday, January 4, 2018, Vice Rector of Udayana University Academic Affairs Prof. Dr. Ir. 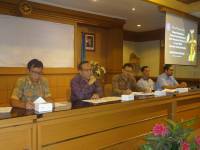 I Nyoman Gde Antara, M. Eng accompanied by the Head of Bureau of Academic, Cooperation, and Public Relations (BAKHM) Drs. 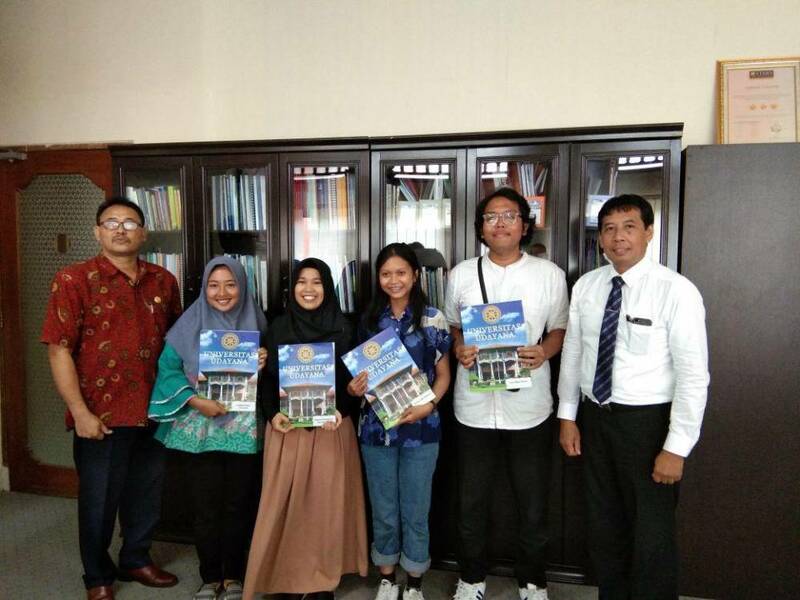 IGN Indra Kecapa, M.Ed released the students participating PERMATA 2017 to return to their respective regions. 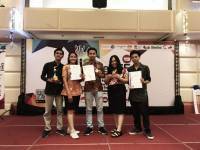 Participants came from four universities (PT) were: (1) Emillia Hanna Widiyanti from Singaperbangsa University Karawang (UNSIKA) Karawang; (2) Hidayah Beneficient M. E from Sriwijaya University (UNSRI) Palembang; (3) Arief Bimo Sectio from Soedirman University (UNSOED) Purwokerto; and (4) Nastia Aulia Rahman from Lambung Mangkurat University (UNLAM) Banjarmasin. On this occasion the Vice Rector advised all participants to take positive lessons during the activity, and to maintain good communication with the participants and with the UNUD. In addition, the participants are expected to be able to introduce UNUD and Bali Island when they arrive in their respective areas. For the future is expected that more students who want to join into this PERMATA program. Head of BAKHM also conveyed the same message, the participants who have completed this PERMATA program to take a positive lesson from this activity. And make the motivation of learning in the future to each participant. He also expressed his gratitude to all the participants who have chosen UNUD as the university's goal and can join the lecturing process for one semester in UNUD.